Tämän viikon projektina esittelemme Cumulus Resort Airport Congress Center -hotellin uudistetun Ravintola Airportin. Kuvasimme kohteen Pinto Designin toimeksiannosta. Katso alta kuvauksen parhaat palat ja siirry tästä kuvapankkiimme nähdäksesi koko gallerian. Hotel F6 is a lovely family-owned boutique hotel located in the heart of Helsinki. The name of the hotel stems from its address, Fabianinkatu 6. The building was designed by architect Runar Finnilä and built in 1939. The hotel’s 66 rooms are filled with quality furniture, beautiful materials and delightful details. The hotel feels classy, unique and tasteful but the atmosphere is also very welcoming and cozy. We took these photos for the hotel’s marketing. Tämä portfolio on koottu hotelli- ja ravintola-asiakkaidemme kuvaustarpeita ajatellen. Otathan yhteyttä Andersiin (anders@kuvio.com, +358 40 551 2027), jos haluat kuulla lisää kuvauspalveluistamme tai kuvauttaa ravintolan tai hotellin! This portfolio is made for our hotel and restaurant clients. If you want to hear more about our services or book a photoshoot, please contact Anders (anders@kuvio.com, +358 40 551 2027)! 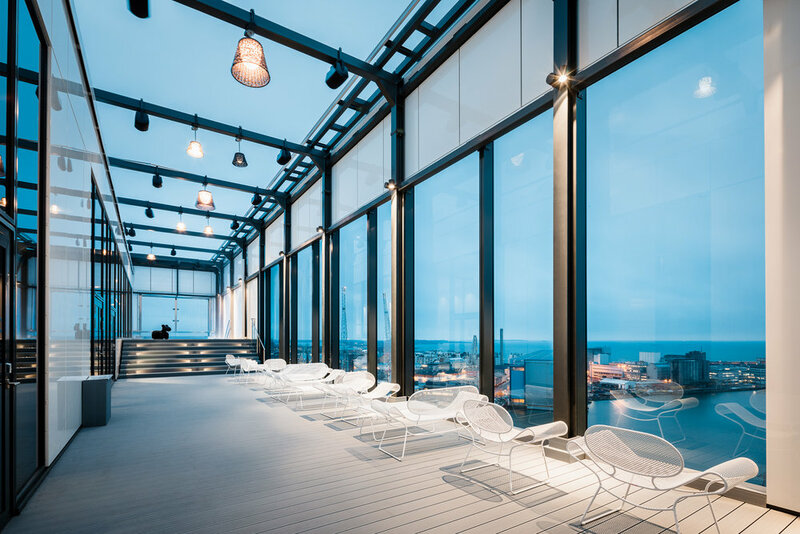 Clarion Hotel Helsinki, designed by Davidsson Tarkela Architects, was opened in October 2016. 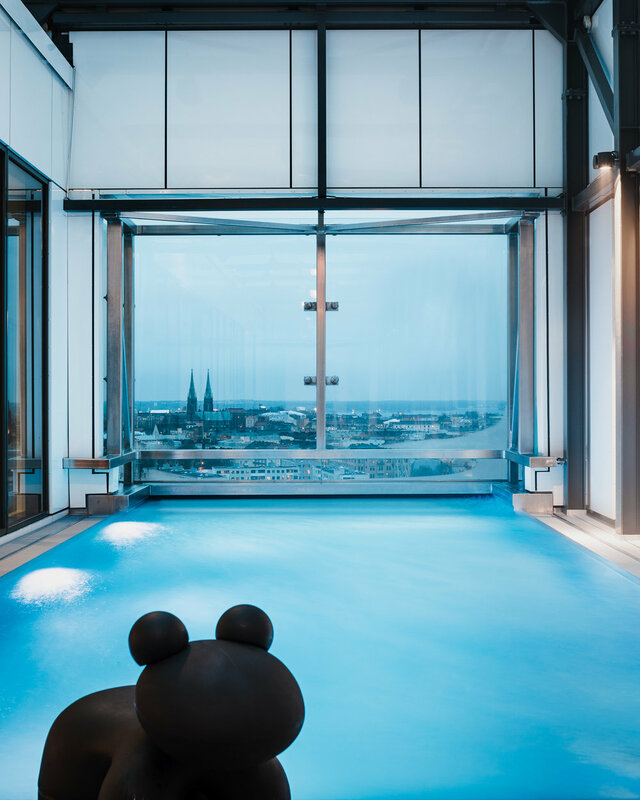 The 16-floor hotel offers its visitors spectacular views over the city. The hotel feels international with its unique rooftop pool and glamorous sky bar. 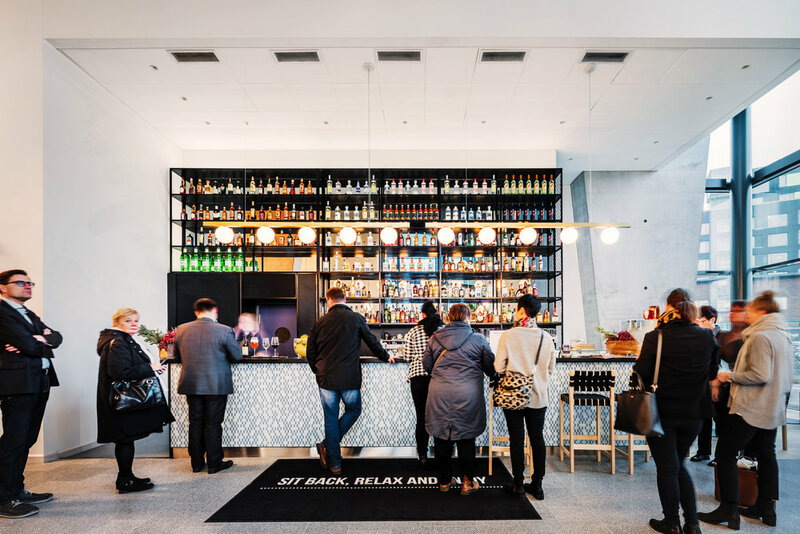 Clarion Hotel Helsinki is filled with international and Finnish design classics such as Artek’s famous 611 chairs. 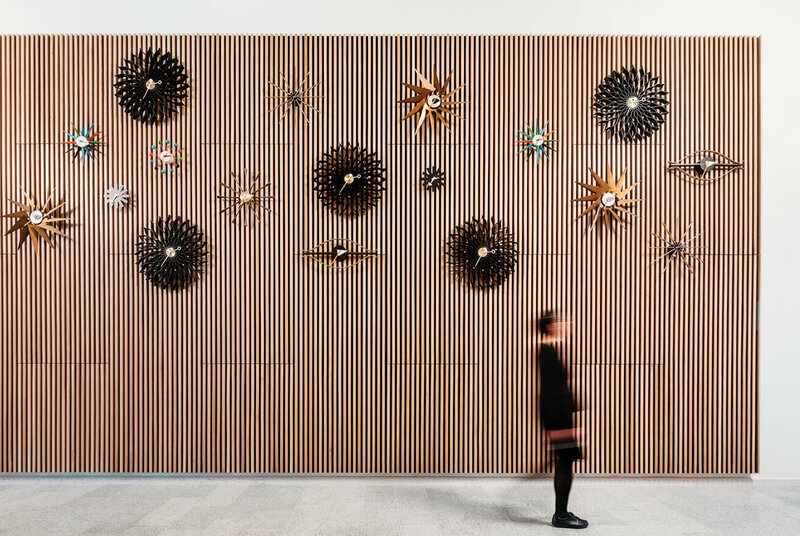 The captivating pixel paintings created by Sami Lukkarinen and the vivid wood paneling of the lobby complete the modern and timeless ambiance of the hotel. 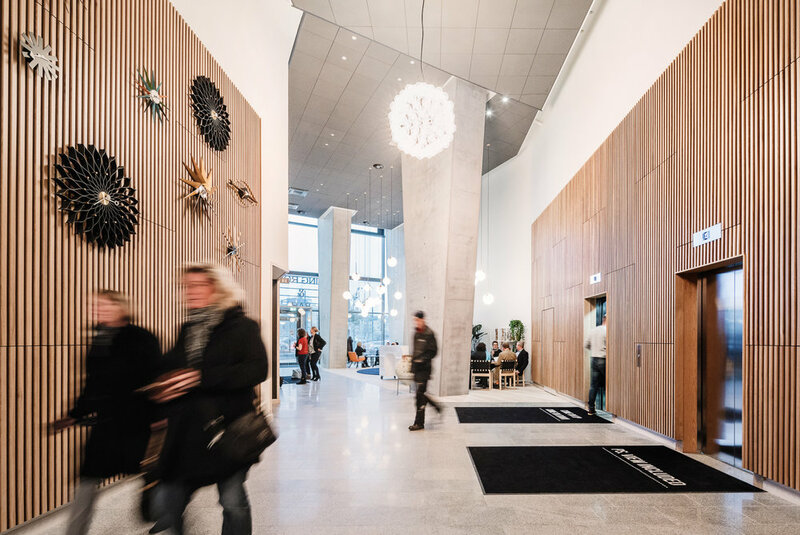 We were commissioned to photograph the eye-catching building by Davidsson Tarkela Architects. 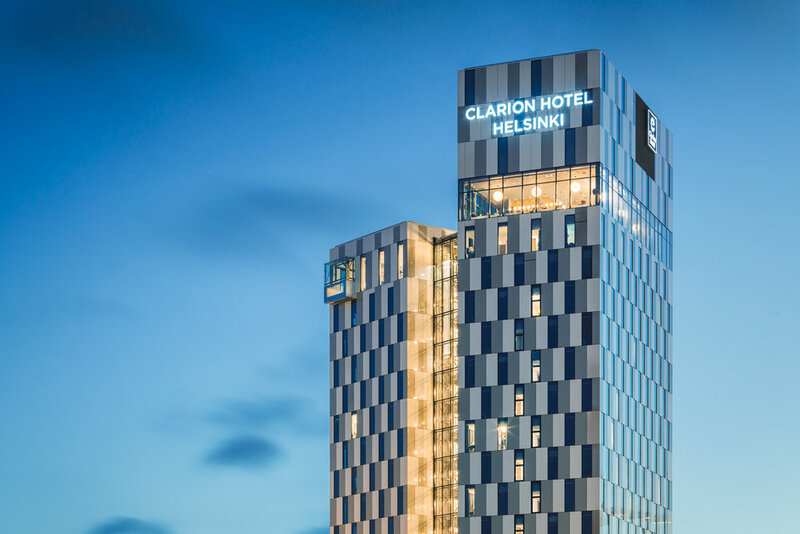 Clarion Hotel Helsinki opened its doors in October 2016 after several years of planning and a few setbacks. In the earlier plans the hotel was the shape of a cross and had as many as 33 floors. 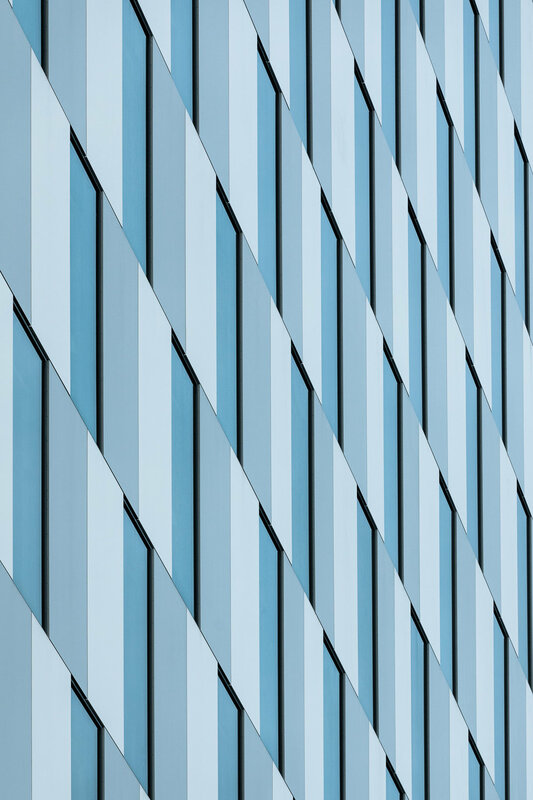 In the end the amount of floors was reduced down to 16 and the controversial cross-like design was replaced by two sleek and modern towers designed by Davidsson Tarkela Architects. The construction began in April 2015 and we documented the entire construction project with a timelapse camera. 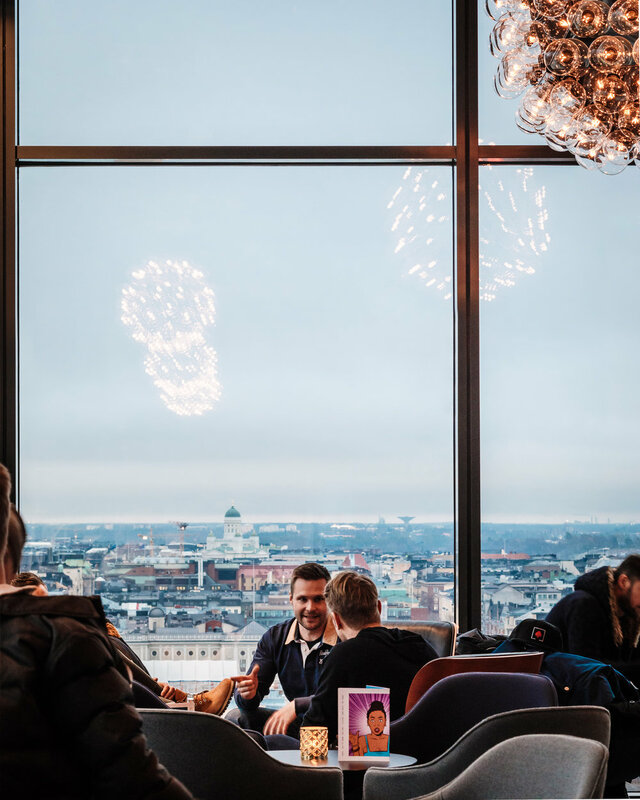 Watch the video to see Helsinki's newest landmark rise from the ground to the sky!